Pickles are made using pickling cucumbers. To pickle a cucumber, you must allow it to sit in a salt and vinegar brine for a period of time, resulting in the distinct pickle flavor, texture and smell. Glass pickle jars are often reusable, making convenient containers for craft projects or storage. If the pungent smell isn't removed from the jar first, the new contents can end up absorbing the pickles' scent. You can make your pickle jar smell-free with some simple procedures and supplies. 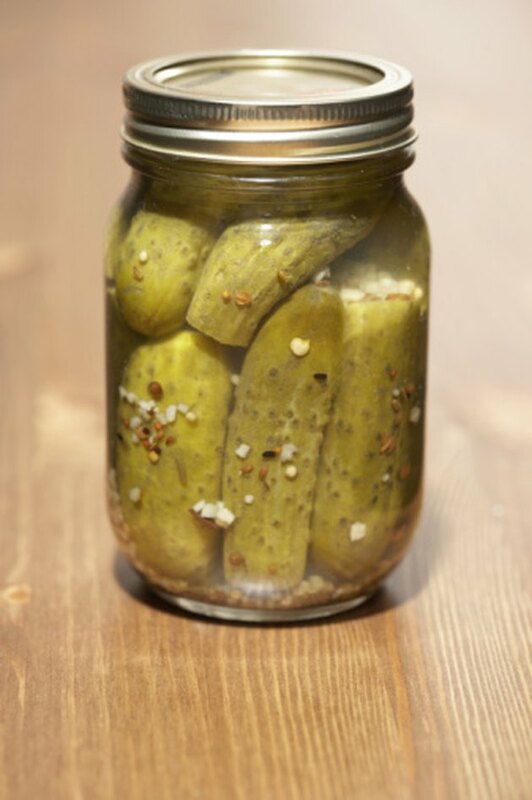 Canning jars used for pickles can be reused once the pickle odor is removed. 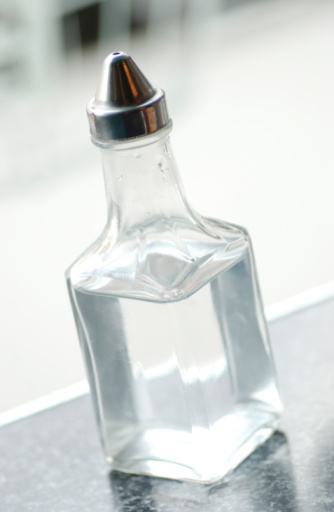 Fill a dishpan with warm water and add a squirt of dishwashing detergent to make a soapy solution. Place the empty pickle jar in the soap water and scrub with a dish scrubber to remove any pickle brine residue that might be contributing toward odor. Rinse the jar with warm water and dry with a clean towel. Allow the jar to sit outside in the sun or by a sunny window for a couple of days. Pour white vinegar into the pickle jar until it's filled halfway. Add water to fill the rest of the jar. Allow the vinegar and water solution to remain in the pickle jar overnight to absorb pickle odor. Empty the pickle jar in the sink the next morning. Dry the inside and outside of the jar with a kitchen towel. Allow the glass jar to air-dry completely. Treat any last trace of pickle odor by filling the dry jar full of crumpled newspaper. Leave the newspaper in the jar overnight to absorb pickle smell. Remove the newspaper from the jar the next morning and repeat Step 1 to ensure cleanliness -- newsprint has a distinct smell and newspaper ink runs easily -- before reuse.